Safety is not just a goal, it’s an expectation set from the beginning. 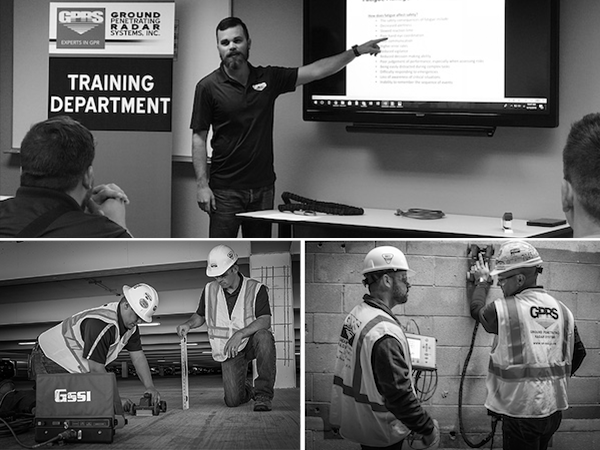 We created our GPRS Training School to provide intensive, hands-on training to all new employees. Our on-boarding process includes OSHA safety training in addition to over two months of jobsite-specific trainings. New hires are taught Subsurface Investigation Methodology (SIM)- a comprehensive standard operating procedure specifically designed to facilitate safe utility locating and concrete scanning processes. During training, time is spent practicing scans on a state-of-the-art simulation slab designed to mimic field conditions. Continuing education ensures that team members and Project Managers remain up to date on the latest safety information and trainings. This commitment to safety has earned GPRS an Experience Modification Rate of 0.47 for 2018-2019. Industry standard averages an EMR of 1- the lower the number, the better the rating. Our clients see first-hand our dedication and commitment to safety. It’s a major reason why GPRS is the company of choice for concrete scanning and utility locating services. MORE THAN 52,000 JOBS COMPLETED IN 2017 WITH 99%+ ACCURACY RATE! GPRS believes that our team is the key to our success. We invest significant energy into training, coaching, and developing our Team Members. This investment into each Team Member can be quantified by our reputation of excellence and the company of clients that we keep – we have worked for an estimated 65% of the ENR Top Contractors. GPRS Team Members embody the values of integrity, teamwork, mutual respect, growth-mindedness and professionalism. 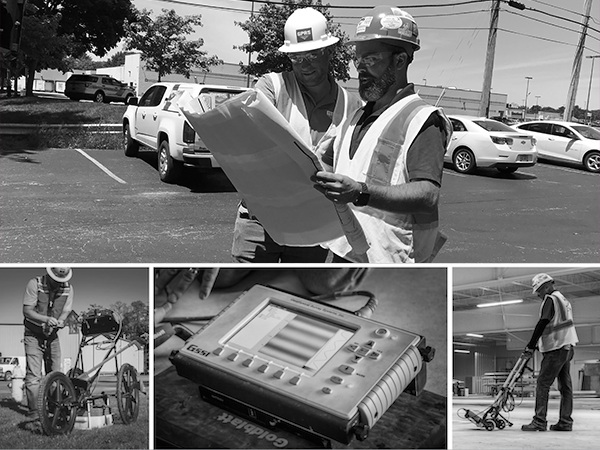 Emphasis on these core principles paired with a complete understanding of the process of utility locating and concrete scanning are what enable our Team Members to perform jobs safely and precisely. Each Project Manager is thoroughly trained in the use of all forms of equipment. We understand that it may take more than one tool to get the job done correctly. Training focuses on correct equipment usage, as well as understanding limitations to the technology, in order to achieve the safest and most accurate results. GPRS Project Managers undergo a host of trainings designed to instill in-depth knowledge along with critical thinking abilities. Subsurface Investigation Methodology is just one of the ways we ensure the same level of accuracy in all of our locates and scans. The use of a checklist and certain protocol enable us to produce the safest possible results, each time.